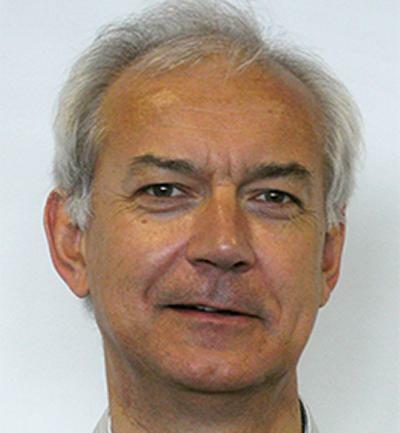 Professor Clive Osmond is Medical Research Council Senior Scientist within Medicine at the University of Southampton. What do long-term follow-up studies of humans show about how our early growth and development influence our health and well-being later in life? Professor Osmond trained in mathematics at the Universities of Cambridge (MA) and Bath (PhD) before joining the MRC Environmental Epidemiology Unit of the University of Southampton in 1980. Since 1984 he has worked, often with the late Professor Barker, on human epidemiological studies that have underpinned the “Developmental Origins of Health and Disease” hypothesis. His main collaborations are with researchers in Finland, the Netherlands, India and Jamaica. In each of these settings he studies people whose early growth and development were recorded in detail some time ago, and he relates their early experience to their well-being later in life. My work involves studying the extent to which health and disease in adult life are associated with growth trajectories early in life. This is done through the following international collaborations. The Helsinki Birth Cohort Study includes 20,000 men and women born during 1924-44. The Finnish population have had a unique identification number since 1970 and we have used this to link their birth, infant welfare clinic and school records to current registers of death, hospital admission, cancer, reimbursed medication and also to the five-yearly census record. 2500 of the men and women have visited our clinics. We relate the trajectory of growth through birth, infancy, childhood and adult life to the risk of disease, controlling for socio-economic factors such as education, income and occupation. We use the cohort to study inter-generational risk transmission, the process of ageing and genetic factors. We study the consequence on adult health of in utero exposure to the Dutch famine of 1944/45. A previously well-nourished population experienced a period of severe nutritional deprivation, resulting in much starvation. We group today’s adults of that generation according to their trimester of intra-uterine exposure to famine and search for critical periods of development for adult conditions. I also advise The Amsterdam ABCD study of pregnancy and child health and well-being. I am a researcher on the New Delhi Birth Cohort Study, in which we study 1500 men and women born in the city around 1970, regularly measured from birth through childhood and adolescence, who have visited research clinics as adults. I am also an honorary member of Sneha, the Indian society for the study of the developmental origins of disease, and collaborate with researchers from several other institutions, including KEM Hospital, Pune. I am part of “The Vulnerable Windows Study”, which includes 700 mothers, born in Kingston around 1993-5, who had ultrasound scans at six time-points in pregnancy and their offspring, who visit the clinic for follow-up measurements every six months. I also look for long-term effects in adult of severe acute malnutrition in childhood, using data collected over many years at the Tropical Medicine Research Institute at The University of the West Indies. I have been statistical advisor to the “Nordic Network” of studies on the developmental origins of health and disease. I am statistical advisor to the “Cohorts” network of five longitudinal birth cohort studies in developing countries – Brazil, Guatemala, India, Philippines and South Africa. I have been statistical advisor to the Thailand Research Association for Child and Family Development. I advise a study in Marseille testing the French health record, a booklet retained by each citizen that includes measurements of height and weight at fixed points through childhood, to characterise growth trajectory and relate this to the structure and function of the heart. I work with physiologists in the Zoology department at King Saud University, studying long-term consequences of placental size, growth and structure. I worked on a meta-analysis of whether maternal micronutrient supplementation in developing countries is associated with an increase in baby’s birthweight and an improvement in infant survival. I collaborate with researchers from the Medical School’s Human Development and Health division and advise the other statisticians in our group. Professor Tessa Roseboom, University of Amsterdam, The Netherlands. Professor Harshpal Singh Sachdev, Sitaram Bhartia Hospital, New Delhi, India. Former examiner in medical statistics for the Royal Statistical Society, UK. Shanko, K., Balcha, F., Parry, E., Mortimore, A., Osmond, C., Phillips, D. I. W., & Mamo, Y. (2018). Managing hypertension in nurse-led primary care clinics in rural Ethiopia. Ethiopian Journal of Health Development, 32(2), 104-109. Writing group of the Low Birth Weight and Nephron Number Working Group., & Osmond, C. (Accepted/In press). A developmental approach to the prevention of hypertension and kidney disease: a report from the Low Birth Weight and Nephron Number Working Group. Lancet. Mikkola, T. M., von Bonsdorff, M. B., Osmond, C., Salonen, M. K., Kajantie, E., Cooper, C., ... Eriksson, J. G. (Accepted/In press). Childhood growth predicts higher bone mass and greater bone area in early old age: findings among a subgroup of women from the Helsinki Birth Cohort Study. Osteoporosis International. Kajantie, E., Osmond, C., & Eriksson, J. G. (Accepted/In press). Gestational hypertension is associated with increased risk of type 2 diabetes in adult offspring: The Helsinki Birth Cohort Study. American Journal of Obstetrics and Gynecology, 1-51. Antonisamy, B., Vasan, S. K., Geethanjali, F. S., Gowri, S., Hepsy, F. S., Richard, J., ... Fall, C. (Accepted/In press). Weight gain and height growth during infancy, childhood and adolescence as predictors of adult cardiovascular risk markers in South Asian Indians. Journal of Pediatrics, 1-20.
von Bondorff, M. B., Tomakangas, T., Salonen, M., von Bonsdorff, M. E., Osmond, C., Kajantie, E., & Eriksson, J. G. (2015). Early life origins of all-cause and cause-specific disability pension: findings from the Helsinki birth cohort study. PLoS ONE, 10(4), e0122134-[12pp]. DOI: 10.1371/journal.pone.0122134. Lahti, M., Eriksson, J. G., Heinonen, K., Kajantie, E., Lahti, J., Wahlbeck, K., ... Raikkonen, K. (2014). Maternal grand multiparty and the risk of severe mental disorders in adult offspring. PLoS ONE, 9(12), e114679. DOI: 10.1371/journal.pone.0114679. Lahti, J., Lahti, M., Pesonen, A. K., Heinonen, K., Kajantie, E., Forsen, T., ... Raikkonen, K. (2014). Prenatal and childhood growth, and hospitalization for alcohol use disorders in adulthood: the Helsinki birth cohort study. PLoS ONE, 9(1), e87404. DOI: 10.1371/journal.pone.0087404. Pesonen, A-K., Eriksson, J. G., Heinonen, K., Kajantie, E., Tuovinen, S., Alastalo, H., ... Raikkonen, K. (2013). Cognitive ability and decline after early life stress exposure. Neurobiology of Aging, 34(6), 1674-1679. DOI: 10.1016/j.neurobiolaging.2012.12.012. Sandboge, S., Perala, M. M., Salonen, M. K., Blomstedt, P. A., Osmond, C., Kajantie, E., ... Eriksson, J. G. (2013). Early growth and non-alcoholic fatty liver disease in adulthood-the NAFLD liver fat score and equation applied on the Helsinki Birth Cohort Study. Annals of Medicine, 45(5-6), 430-437. DOI: 10.3109/07853890.2013.801275. Garg, P., Kaur, S., Gupta, D. (Ed. ), Osmond, C., Sinha, S., Kapil, U., & Sachdev, H. P. S. (2013). Variability of thinness and its relation to cardio-metabolic risk factors using four body mass index references in school-children from Delhi, India. Indian pediatrics, 50(11), 1025-1032. Anuntaseree, W., Sangsupawanich, P., Osmond, C., Mo-Suwan, L., Vasiknanonte, P., & Choprapawon, C. (2012). Sleep quality in infants with atopic dermatitis: a community-based, birth cohort study. Asian Pacific Journal of Allergy & Immunology, 30(1), 26-31. Fall, C., Fisher, D., Osmond, C., & Margetts, B. (2009). Multiple micronutrient supplementation during pregnancy in low-income countries: a meta-analysis of effects on birth size and length of gestation. Food and Nutrition Bulletin, 30, S533-S546. Ronsmans, C., Fisher, D. J., Osmond, C., Margetts, B. M., Fall, C. H. D., & Maternal Micronutrient Supplementation Study Group MMSG (2009). Multiple micronutrient supplementation during pregnancy in low-income countries: a meta-analysis of effects on stillbirths and on early and late neonatal mortality. Food and Nutrition Bulletin, 30, S547-S555. Ylihärsilä, H., Kajantie, E., Osmond, C., Forsén, T., Barker, D. J. P., & Eriksson, J. G. (2008). Body mass index during childhood and adult body composition in men and women aged 56-70y. American Journal of Clinical Nutrition, 87(6), 1769-1775. Painter, R. C., de Rooij, S. R., Bossuyt, P. M., de Groot, E., Stok, W. J., Osmond, C., ... Roseboom, T. J. (2007). Maternal nutrition during gestation and carotid arterial compliance in the adult offspring: the Dutch famine birth cohort. Journal of Hypertension, 25(3), 533-540. Painter, R. C., De Rooij, S. R., Bossuyt, P. M., Phillips, D. I., Osmond, C., Barker, D. J., ... Roseboom, T. J. (2006). Blood pressure response to psychological stressors in adults after prenatal exposure to the Dutch famine. Journal of Hypertension, 24(9), 1771-1778. Painter, R. C., De Rooij, S. R., Bossuyt, P. M., Simmers, T. A., Osmond, C., Barker, D. J., ... Roseboom, T. J. (2006). Early onset of coronary artery disease after prenatal exposure to the Dutch famine. American Journal of Clinical Nutrition, 84(2), 322-327. Samms-Vaughan, M., Thame, M., Osmond, C., Hambleton, I. R., McCaw-Binns, A., Ashley, D. E., & Serjeant, G. R. (2006). Growth curves for normal Jamaican neonates. West Indian Medical Journal, 55(6), 368-374. De Rooij, S. R., Painter, R. C., Phillips, D. I., Osmond, C., Michels, R. P., Bossuyt, P. M., ... Roseboom, T. J. (2006). Hypothalamic-pituitary-adrenal axis activity in adults who were prenatally exposed to the Dutch famine. European journal of endocrinology, 155(1), 153-160. Eriksson, J. G., Osmond, C., Forsen, T., Kajantie, E., Barker, D. J., & Laakso, M. (2006). Insulin gene variable number of tandem repeats genotype, early growth and glucose metabolism in adult life. Journal of Pediatric Endocrinology and Metabolism, 4, 180-187. Sachdev, H. S., Fall, C. H. D., Osmond, C., Lakshmy, R., Dey Biswas, S. K., Leary, S. D., ... Bhargava, S. K. (2005). Anthropometric indicators of body composition in young adults: relation to size at birth and serial measurements of body mass index in childhood in the New Delhi birth cohort. American Journal of Clinical Nutrition, 82(2), 456-466. Osmond, C., Kwong, W. Y., & Fleming, T. P. (2005). Statistical analysis of data in support of the Barker hypothesis, advantages of using random effects regression model in hierarchical data. Reproductive BioMedicine Online, 10(2), 152-153. Yliharsila, H., Eriksson, J. G., Forsen, T., Laakso, M., Uusitupa, M., Osmond, C., & Barker, D. J. P. (2004). Interactions between peroxisome proliferator-activated receptor-[gamma] 2 gene polymorphisms and size at birth on blood pressure and the use of antihypertensive medication. Journal of Hypertension, 22(7), 1283-1287. Kwong, W. Y., Osmond, C., & Fleming, T. P. (2004). Support for Barker hypothesis upheld in rat model of maternal undernutrition during the preimplantation period: application of integrated 'random effects' statistical model. Reproductive BioMedicine Online, 8(5), 574-576. Kubaszek, A., Markkanen, A., Eriksson, J. G., Forsen, T., Osmond, C., Barker, D. J. P., & Laakso, M. (2004). The association of the K121Q polymorphism of the plasma cell glycoprotein-1 gene with type 2 diabetes and hypertension depends on size at birth. Journal of Clinical Endocrinology & Metabolism, 89(5), 2044-2047. Kwong, W. Y., Miller, D. J., Wild, A. E., Osmond, C., & Fleming, T. P. (2003). Effect of maternal low protein diet on imprinted gene expression in the rat preimplantation embryo. Pediatric Research, 53, p.46A. Eriksson, J. G., Osmond, C., Lindi, V., Uusitupa, M., Forsen, T., Laakso, M., & Barker, D. (2003). Interactions between peroxisome proliferator-activated receptor gene polymorphism and birth length influence risk for type 2 diabetes. Diabetes Care, 26(8), 2476-2477. Kajantie, E., Eriksson, J., Barker, D. J. P., Forsen, T., Osmond, C., Wood, P. J., ... Phillips, D. I. W. (2003). Is gestational age at birth an indicator of susceptibility to programming of the hypothalamic-pituitary-adrenal axis (HPAA)? Pediatric Research, 53(6), p.38A. Boyne, M. S., Thame, M., Bennett, F. I., Osmond, C., Miell, J. P., & Forrester, T. E. (2003). The relationship among circulating insulin-like growth factor (IGF)-I, IGF-binding proteins-1 and -2, and birth anthropometry: a prospective study. Journal of Clinical Endocrinology & Metabolism, 88(4), 1687-1691. Barker, D. J. P., Eriksson, J. G., Forsen, T., & Osmond, C. (2002). Fetal Origins. Fetal origins of adult disease: strength of effects and biological basis. International journal of epidemiology, 31(6), 1235-1239. Barker, D. J. P., Forsen, T., Eriksson, J. G., & Osmond, C. (2002). Growth and living conditions in childhood and hypertension in adult life: a longitudinal study. Journal of Hypertension, 20(10), 1951-1956. Eriksson, J. G., Lindi, V., Uusitupa, M., Forsen, T. J., Laakso, M., Osmond, C., & Barker, D. J. P. (2002). The effects of the Pro12Ala polymorphism of the peroxisome proliferator-activated receptor-?2 gene on insulin sensitivity and insulin metabolism interact with size at birth. Diabetes, 51(7), 2321-2324. Thompson, C., Syddall, H., Rodin, I., Osmond, C., & Barker, D. J. P. (2001). Birth weight and the risk of depressive disorder in late life. British Journal of Psychiatry, 179, 450-455. Eriksson, J. G., Forsen, T., Tuomilehto, J., Osmond, C., & Barker, D. J. P. (2001). Early growth and coronary heart disease in later life: longitudinal study. BMJ, 322(7292), 949-953. Roseboom, T. J., van der Meulen, J. H. P., van Montfrans, G. A., Ravelli, A. C., Osmond, C., Barker, D. J. P., & Bleker, O. P. (2001). Maternal nutrition during gestation and blood pressure in later life. Journal of Hypertension, 19(1), 29-34. Phillips, D. I. W., Handelsman, D. J., Eriksson, J. G., Forsen, T., Osmond, C., & Barker, D. J. P. (2001). Prenatal growth and subsequent marital status: longitudinal study. BMJ, 322(7289), p.771. Eriksson, J., Forsen, T., Tuomilehto, J., Osmond, C., & Barker, D. (2001). Size at birth, childhood growth and obesity in adult life. International Journal of Obesity and Related Metabolic Disorders, 25(5), 735-740. Ozanne, S. E., Osmond, C., & Hales, C. N. (2001). The role of the intrauterine environment in the later development of type 2 diabetes and the metabolic syndrome. Current Opinion in Endocrinology and Diabetes, 8(4), 175-179. Osmond, C., & Fall, C. H. D. (2017). Conditional growth models: An exposition and some extensions. In A. S. R. Srinivasa Rao, S. Pyne, & C. R. Rao (Eds. ), Handbook of Statistics: Disease Modelling and Public Health, Part B (Vol. 37). (Handbook of Statistics; Vol. 37). North-Holland,. Kumaran, K., Osmond, C., & Fall, C. (2017). Early origins of Cardiometabolic Disease. In D. Prabhakaran, S. Anand, T. A. Gaziano, J-C. Mbanya, Y. Wu, & R. Nugent (Eds. ), Cardiovascular, Respiratory, and Related Disorders (3 ed., Vol. 5, pp. 37-56). World Bank Group. For twenty years taught “Epidemiological Methods” as part of the Southampton MSc in Statistics with Applications in Medicine.